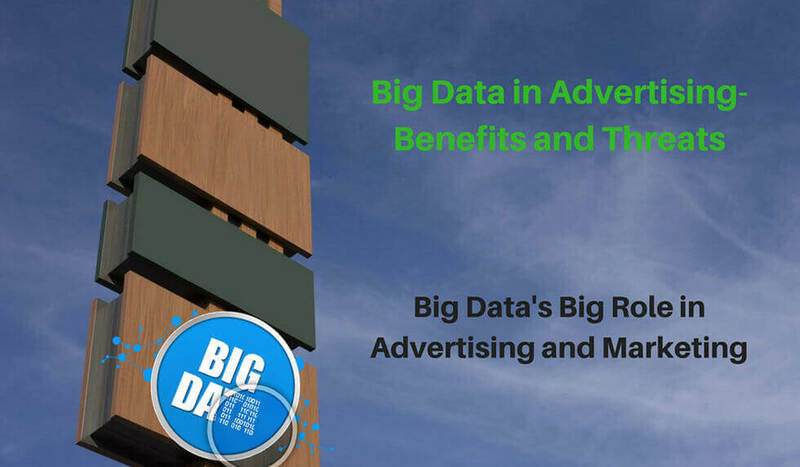 Marketing and advertising agencies are now embracing the Big Data technology for all glory in personalized marketing campaigns. With the use of Big Data in delivering targeted ads and purchase recommendations, the marketing and advertising companies are planning out the future of the technology in the marketing space. The bad news, however, is that even after companies get their hands on the right data, they are yet in a fix on how to use it for their advantage, and for the ultimate benefit of the buyer. The situation is win-win when we consider the analysis of data to reveal patterns of the user's behavior so that the companies can send their prospective customers with targeted buying recommendations and so that the users get what they want easily and in a hassle-free way. However, the use of data still remains a challenge for these companies. Another great challenge that looms over the marketing and advertising companies, pertains to the security of the data collected. Most users have no problems when the data is collected through their social media profiles and used by the companies it is intended for, with the user's knowledge that their data is being used. But, when it comes to the selling of the data by the authorized companies to others, there comes an issue of data security. With highly genuine data captured from across social media channels and platforms, companies are able to match the user's behavior and detect a pattern of their sentiments regarding a product or service. This, in turn, allows these companies to successfully create and execute targeted campaigns that can achieve high sales and ROI for the marketing companies. A consumer's digital footprint is the asset that most companies want to use to get their marketing right. A google search, a Facebook like, or a simple tweet can help companies know about the particular person's interests, after which, the enterprise can target recommendations to the user to help him find the product or service he was interested in. Within online communities, Big Data can steer the wheel of growth and insights for an organization, as it yields highly informative patterns about each user's searches, their opinions, their needs, etc. With the right Big Data strategy, companies can fetch the gold out of waste. The Big Data market size is forecast to almost reach 41 billion U.S. dollars this year, up from about 33.5 billion U.S. dollars in 2017. The potential is exponentially increasing, and companies are getting onboard the Big Data boat. Consumers are necessarily bothered by the impact this information sharing, and data accumulations will have on their privacy. Companies are now recognizing that there needs to be maintained a balance between the strife for customer personalized recommendations and marketing campaigns and the issue of data privacy. Most consumers today need that their data be secured and remain private to a handful of companies they trust in. Losing their trust and loyalty will cause companies dearly. And therefore, a balance is essential between the convenience of data personalization and the crucial issue of data privacy. It is believed that security can promote privacy. With the use of measures such as cryptography, access control, data backups, auditing, intrusion detection, etc., the data can be prevented from breaches and compromises. Organizations need to pay heed to the fact that consumers and buyers need personalized campaigns as much as they need the privacy of their personal data to be intact.